Home /News /Research /Taxes, yes, but simpler! Tax evasion, tax avoidance, tax increases and reductions, simplification of tax law. Topics related to taxes have dominated front pages and talk shows in Germany for years. But what do people really think about them? Economics researchers and social scientists from FAU investigated this question and carried out a telephone survey of employees in Germany – with remarkable results. Voluntary declarations and the mass submission of tax evasion data to the authorities are bringing spectacular cases of tax evasion to light more and more frequently. In some countries, international companies are able to avoid taxation almost completely thanks to elaborate tax planning. On the other hand, companies are complaining more and more loudly about the administrative effort involved with tax collection. Electronic data processing should improve the information which tax authorities have and, at the same time, limit the amount of administrative effort. This has also changed a lot for average citizens. Withholding tax is paid automatically; tax software and the Elster portal help people to complete their tax return. The tax authorities are even going one step further. As of this year, taxpayers can use a pre-completed tax return. The Elster portal collates many items of tax data which just have to be checked when filing the tax return. This is a relief for all those involved and saves time and money. However, at the same time, even more sensitive data is exchanged online. A group of researchers from the Chairs of Social Policy, Sociology and Taxation at FAU investigated the opinions of employees in Germany on the subject of taxes as part of the Emerging Fields project ‘Taxation, Social Norms, and Compliance.’ In summer 2013, 1004 households whose main income was not from self-employment and who fill out their own income tax return were questioned in a representative telephone survey. The result was very interesting: A clear majority – 71 percent of those surveyed – would rather see the tax system made simpler than taxes lowered. The pre-completed tax return can contribute to simplification. Important prerequisites for pre-completed tax returns seem to be fulfilled according to the Nuremberg-based researchers. Despite the extensive debate about data protection, around 75 percent of those surveyed agree to important information such as donations and the distance between their home and place of work being transferred to the tax authorities automatically. However, there is a potential cause for dispute. Only 63 percent support the tax authorities being able to access further information about other taxable income such as income from interest and non-cash benefits. This widespread acceptance of electronic data transfer contrasts with a certain distrust of tax policy. When asked for a general evaluation of the tax system, two thirds of participants said that they found the current design, in particular the high tax rates and tax breaks, rather unfair. Around 60 percent are unsatisfied with the way in which tax revenue is spent. It is also worth noting the scepticism regarding tax administration. Only 34 percent of the survey’s participants agree with the statement that the tax office treats all citizens the same; slightly fewer – 29 percent – do not agree. The survey confirms other opinions which were already known, such as those regarding tax planning and tax evasion. Tax evasion is mainly rejected; tax planning, on the other hand, is much more widely accepted. Only a small amount of those surveyed were of the opinion that income and income-related expenses should not be declared fully and properly (two and nine percent). Conversely, around 40 percent of participants believe that tax planning is legitimate, even in legal grey areas. Another interesting result is that the Germans are much more honest than they think when it comes to taxes. Only a quarter said that they had seriously thought about tax evasion before. However, the participants estimated that 60 percent of German taxpayers had evaded tax before. The voluntary declaration which allows people to avoid penalty which is currently the source of much debate was evaluated as an acceptable regulation by just over half (52 percent) of those surveyed. In contrast, two thirds of participants support the introduction of a de minimus limit. Many tax evaders with accounts abroad would then not be able to hope for a mild sentence: 50 percent of those who are in favour of a de minimus limit believe that it should be set at 50,000 euros of evaded taxes or lower. The investigation is part of the the Emerging Fields project ‘Taxation, Social Norms, and Compliance’. FAU supports cutting-edge research topics in interdisciplinary fields in the Emerging Fields Initiative. 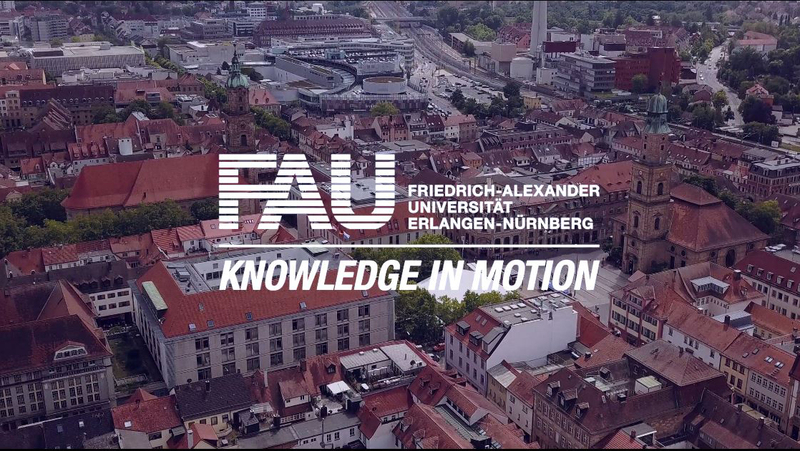 The research team for this project includes Prof. Dr. Matthias Wrede and Friedemann Richter from the Chair of Social Policy, Prof. Dr. Martin Abraham and Kerstin Lorek from the Chair of Sociology and Empirical Social Research and Prof. Dr. Wolfram Scheffler and Daniela Nehls from the Chair of Taxation.